It is hard to describe Portmeirion. Is it a village? Art on a large scale? Whatever it is, its fabulous! 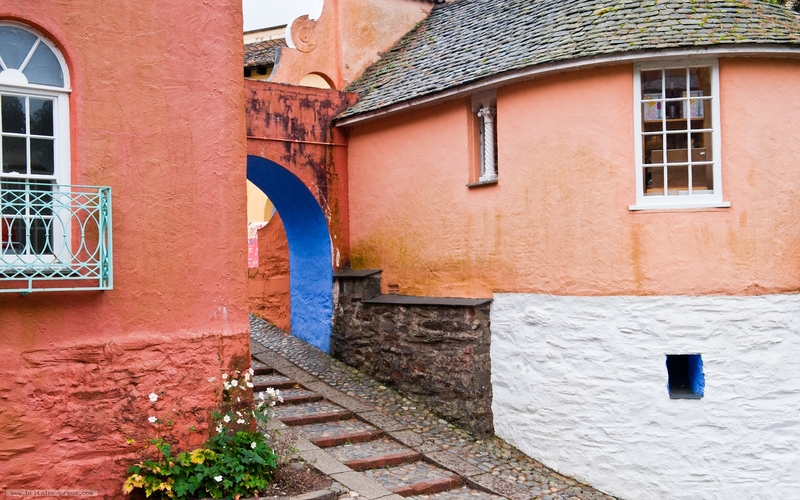 Best known perhaps as the setting for the short-lived television series The Prisoner, Portmeirion is an exquisitely crafted Italianate fantasy village, set in a wonderful location just east of Porthmadog, at the muth of the Dwyryd River.